6. 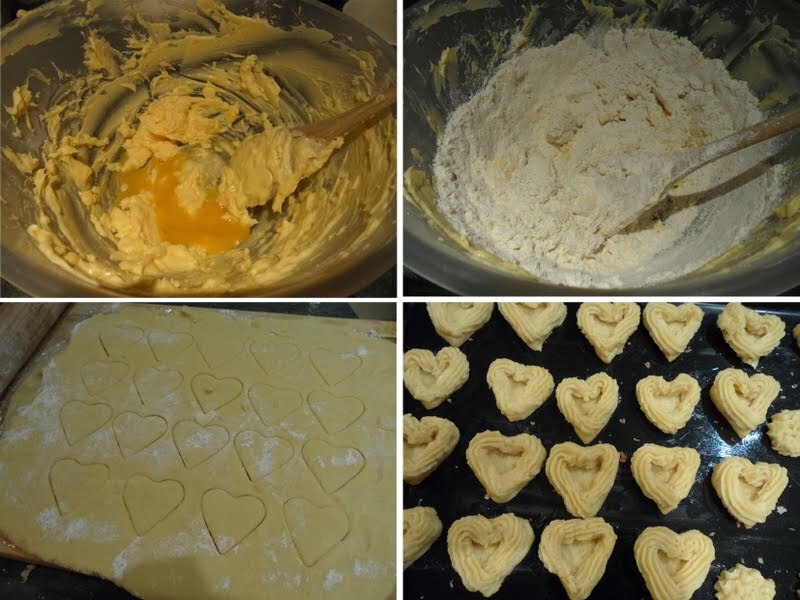 Roll out half of the dough into desired thickness on a lightly floured surface, cut out heart with heart shaped cookie cutter. 7. Place each piece separately on an ungreased cookie sheet, 1 - 2 inches apart. Pipe the rest of the dough on the edge of earch heart. 8. Pipe strawberry jam on the middle of each cookies.